Moline, Illinois junk removal service doesn’t;t have to be difficult when you contact a local junk removal service. Well give you and estimate right over the phone based on the volume and type of junk you tell us about. When our junk collection crew arrives at your location, they’ll give you a firm quote fro your refrigerator pick up, old couch removal, hot tub removal, scrap metal recycling, bulky waste haul a way, television pick up, etc. Our crews are professional and customer friendly with our customers. Many of our customers are repeat clients who call us regularly to keep their homes clean and clutter free. Realtors, property managers, homeowners, even other garbage companies use our junk collection service in the Quad Cities area. Yes we pick up electronic waste, televisions, monitors computers, video games, etc. These items can not be placed in a dumpster, but can be picked up by our junk removal crews in Illinois or Iowa. What does Junk Removal In Moline, Illinois Cost? Well you must be interested in renting a dumpster for your Rock Island, Il home or business. There are some ideas or issues relating to waste management in Rock Island you might want to think about. The City of Rock Island mandates that any dumpster being placed on the street be done by a waste hauling company with an annual dumpster permit for the city. There are numerous rules about where dumpsters can be placed and where they can’t be placed on Rock Island streets, but a waste hauling company with an annual permit should be familiar with these regulations. If you’re looking to have just a few items of junk removed, you might be better off calling us for a junk removal where our crew will show up at your Rock Island location in a smaller truck and actually load and remove your waste without a dumpster. The junk removal crew can actually take some items which aren’t allowed in dumpsters or landfills. These items include e waste, refrigerators, appliances, tires, etc. You can save money by having your junk in a truck accessible area when the crew arrives to avoid extra charges for excess loading times. Anyway, if you think the full service junk removal service might be right for your Rock Island business or home, call us and we’ll discuss the details. If you are in need of these services, you might want to consult your local Yellow Pages or do a Google internet search. Dumpster Rental In Moline, Il Is Easy! Dumpster rental in moline, Il is easy when you contact a reliable local hauler. They’ll want to know a few things before giving you an over the phone quote. They’ll want to know what you’ll be using the dumpster for. In other words, what will you be tossing into the dumpster? Concrete, roofing, shingles, wood, etc? These waste materials might effect the type or size roll off you will be needing. 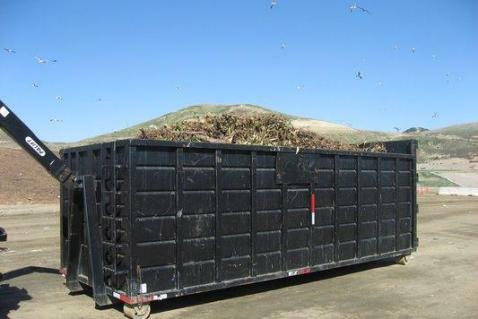 The quantity of waste will also effect the dumpster size and price you will be renting. You’d be better off renting a big dumpster and paying a little more up-front than renting a small size and getting it emptied several times. Of course, if you’re loading heavy/dense materials, you might be limited to the smaller size because of weight restrictions. When you plan to start your project in Moline, Illinois will also effect the delivery schedule for the waste container. You’ll need the bin prior to starting your project, but not too much earlier as there is normal a daily rental on roll off containers kept for an extended period of time. On site placement of rented dumpsters in Moline is important for safety and loading efficiency. You’ll need the bin located near the waste to limit your own loading time and effort. But the bin must be placed in a truck accessible area which is clear from wires and low tree branches. Call us to learn more about our dumpster rental for your Moline, Illinois business or home. Order your dumpster today by calling 309-517-2051. Copyright © 2019 Junk Removal Quad Cities LLC. All rights reserved.